CLEVELAND—May 8, 2012—PR 20/20 will sponsor Inbound 2012, "the world's largest gathering of inbound marketing professionals," taking place Aug. 27-30 at the Hynes Convention Center in Boston, Mass. This week, May 7-13, the agency is featured as the event's Sponsor of the Week. Presented by HubSpot, Inbound 2012 (#Inbound12) is in its inaugural year, however it is an iteration of past HubSpot conferences including the Inbound Marketing Summit (IMS) and HubSpot User Group Summit (HUGS). As such, 2012 marks PR 20/20's fifth year as both sponsor and attendee. The PR 20/20 team at last year's HUGS opening reception. See more. Inbound 2012 offers several tracks and breakout sessions, with content tailored to inbound marketers with varying experience levels and areas of expertise. Basic tracks—geared toward general, "doer" marketers—include introductory, intermediate and advanced; interest-based sessions will be presented for HubSpot VARs, hacks / developers and innovators / marketing team leadership. 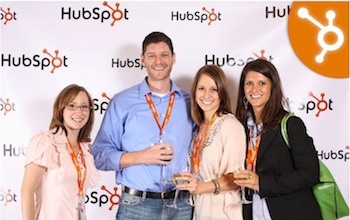 Stay tuned for more updates on PR 20/20's participation at Inbound 2012, and register for the event here. Earlybird pricing is available through June 1; group discounts are offered for teams of five or more.